Carmen’s Corner: DOWNSIZING-DO YOU HAVE THE SAME DESIGN QUESTIONS? DOWNSIZING-DO YOU HAVE THE SAME DESIGN QUESTIONS? Condos may be best for couples or singles just starting out or those older than 50 who have lived in a house for 20-plus years and want out of the daily maintenance that houses require. It's about upkeep for most people, the disadvantage to owning a house is upkeep and keeping up with upkeep. Downsizing isn't just about getting older, retiring or having your kids leave home, but also about making life easier – less space means less stuff, less to clean, and less to worry about. How about having just as much space as you need? Often large families live in a large house and once kids grow up and go to universities, parents find themselves starting to think again about their life and the quality of their life. Think about how much more you can enjoy life by simply spending quality time with your loved ones. You should all assess how much space you need the same way you assess how much money you need every month. Today I am answering questions sent by one couple who has made the decision to not only move from a house to a condo but to donate their existing furniture so they can have a fresh start. Now that’s a great example of making the right decisions and helping others!!! 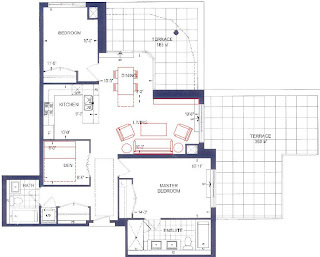 They chose a 2b+d condo suite, one of the best condo size and layout for downsizing. Q: I would like some advice on how to best place furniture in the small den in order for my daughter from time to time come home and sleep over and feel as though the den is her bedroom. A: The best way is to furnish the Den as a guest room not as a bedroom. 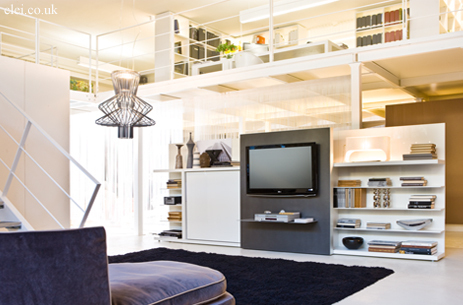 Think sofa beds or wall beds, storage, shelving, lamps, area rugs, artwork. The challenge here is to be able to comfortable fit a double bed when open, as the den is only 8’0” x 8’6”. 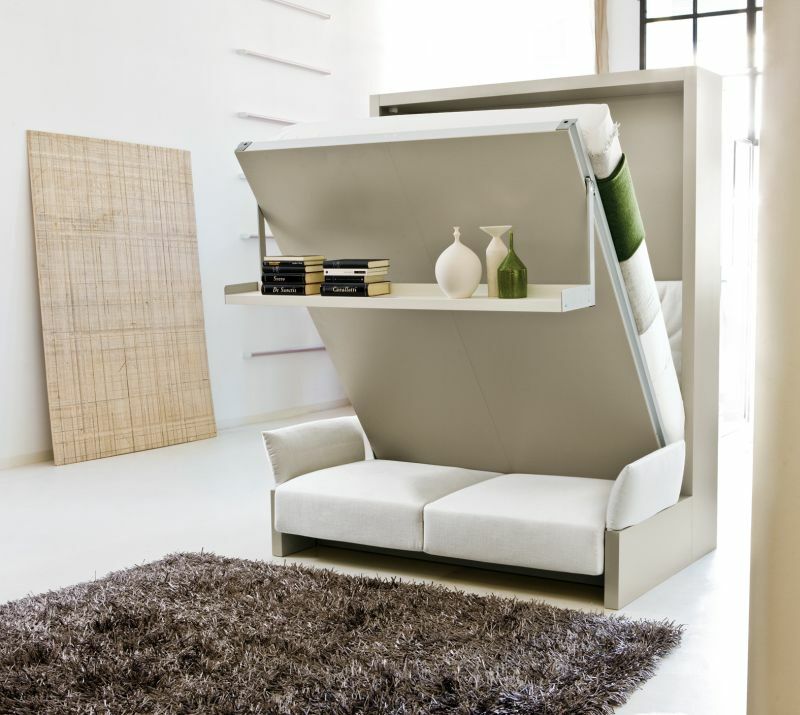 This example shows how a double wall bed can convert your space from a seating/reading/tv area (possibly) to a sleep area. 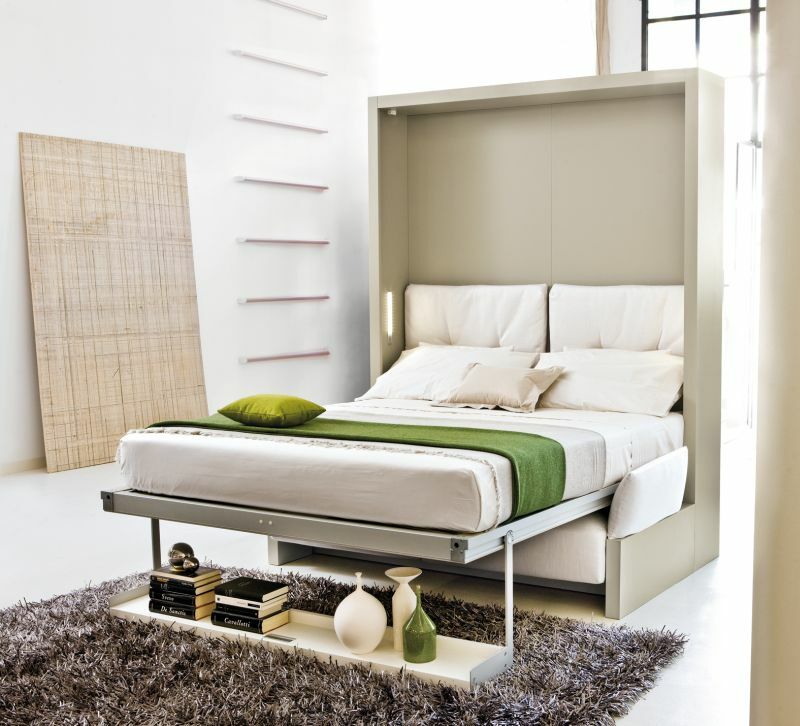 If a single bed is an option, I love how the bed is incorporated in this built in and gives you plenty of space around it! This British company is just one of the many wall beds manufacturers with amazing ideas for virtually any space! Q: The view walking through the front door is looking straight through to Lake Ontario so I would love your advice on colors throughout the condo in order to bring the outside waterview inside the condo. 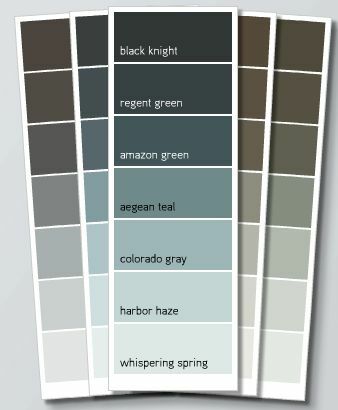 I don't like trendy colors as we prefer something that will stay in style for a long time. A: Another great feature- waterfront condos are definitely one of the best ways to downsize, especially if you love water...There are many ways of designing the interior to reflect the exterior, the wall colors or wallpaper patterns and the use of mirrors are just two of them. While using the color blue is an option, it shouldn’t be the only option. 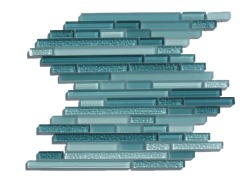 Consider using neutrals that will make your space look current for years to come and use accessories that will represent the “water” element like aqua glass tile for kitchen’s backsplash, artwork with vivid blue tones, crystals (chandeliers, lamps etc) which will reflect the light and add a sparkle to the interior- think of all the elements that you will like to see incorporated in your design, find your inspiration first and bring all elements together. The colors, textures and lighting can, in your case, be found in the "waterfront" theme. 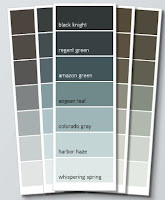 When it comes to selecting paint colors- take a look at Benjamin Moore virtual fan deck- this example shows how aqua colors may be best showcased when combined with other neutrals, it’s all about the actual color tone you prefer (with more gray or more blue or more teal), the intensity of the colors and about all the furnishings- if they are light or dark color. First question to ask yourself is: do I want a tone on tone overall look or a contrasting look? 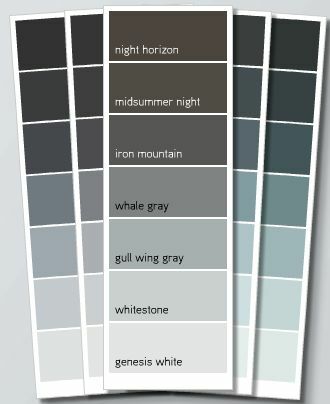 This will open a new design conversation which will lead you in the right direction and help you choose your colors. 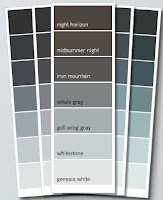 For a tone on tone look choose your favourite color and select everything around that color. For a contrasting look, decide first if it will be dark or light (simply a preference, one is not better than the other) and choose the floor & wall finishes in opposite colors than your furniture- this is just one way of selecting the colors. Q: We need advice on furniture placement in the living and dining area to make best use of the space and make it feel larger. Even where we place the sofa, chair and tv. As long as we can fit four people maximum seated comfortably in the living area. 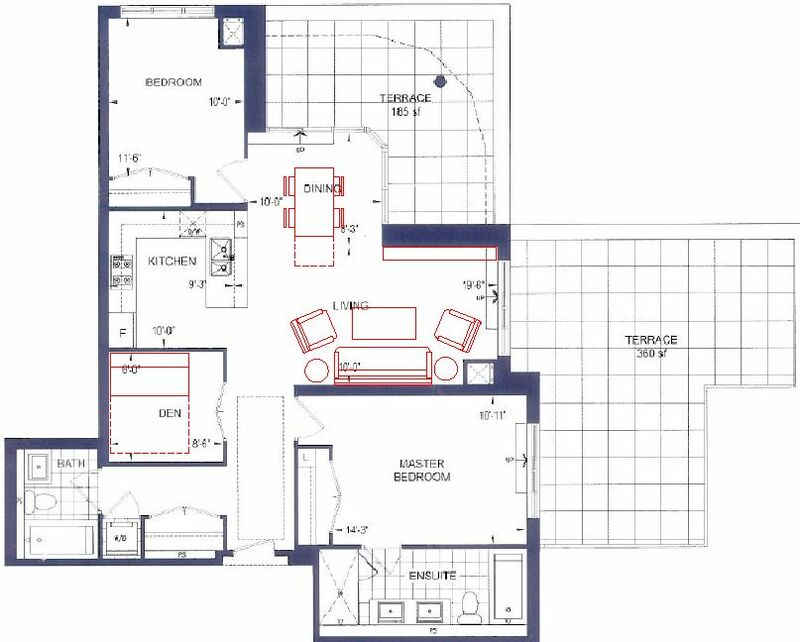 A: this floor plan shows one of the furniture layouts options- Dining Area- think of enjoying large dinner parties where an extendable table is a must, also a round/oval table may work. Living area has a great potential for a TV wall unit due to the length of the wall. You can comfortably use a 7’ sofa and as you can see there is room for a larger one. Why I like 7’ sofas is because most of the time only 2 people will sit on it so I’d rather have more space around for chairs, tables, lamps etc. Q: Lastly, I would like to know how to use the large terrace in the best possible way to use as outdoor living space from May to October. Any suggestions for furniture type, furniture placement, even where we should put the b-b-q line outside. A: Before starting to look at furniture, there are few items to be addressed: the bbq line may be dictated by the builder- therefore I recommend looking into this first. This will show you where the outdoor dining area may be setup (I’m guessing the terrace close to the kitchen). Another item to address is the wind factor, if the terrace is covered, the privacy level for each terrace, you can read more about designing your condo balcony/terrace space here. 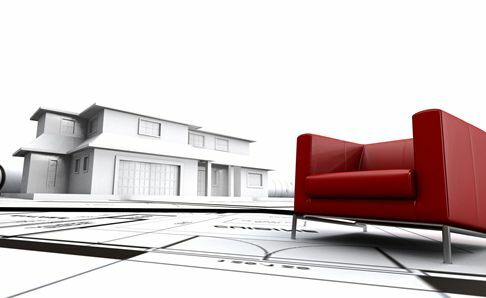 Once these questions are answered, selecting the actual furniture and creating a layout will be much easier. 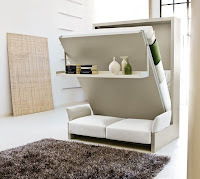 I like using a mattress design with storage space inside. With this mattress, I could store some stuff underneath. So I can save space with very practical.